We’ll be cleaning up at Brockdale trailhead, and then checking out the trail for fallen branches. There is cold and then there is cold (and maybe rainy), so we’ve cancelled this ride. See you on the next one!! 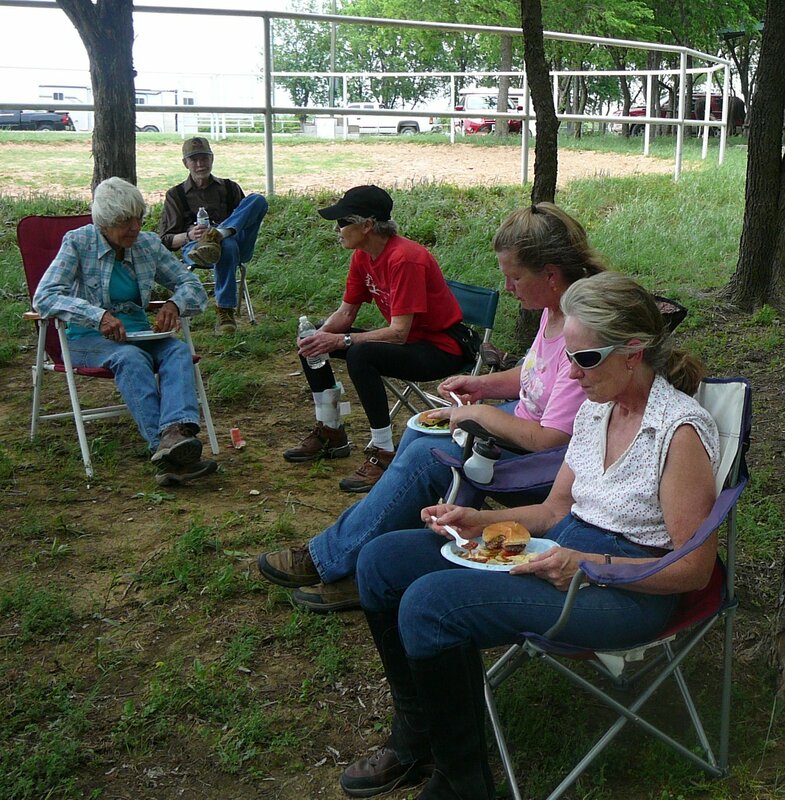 We’ll be gathering at Highland Park and riding north to the Giant Sycamore tree. Don’t forget the your horse’s Coggins, and be prepared to dress warmly! 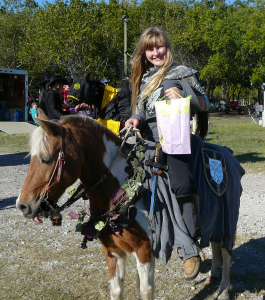 Dig out your costumes for you and your horse, it’s time for some Halloween fun! 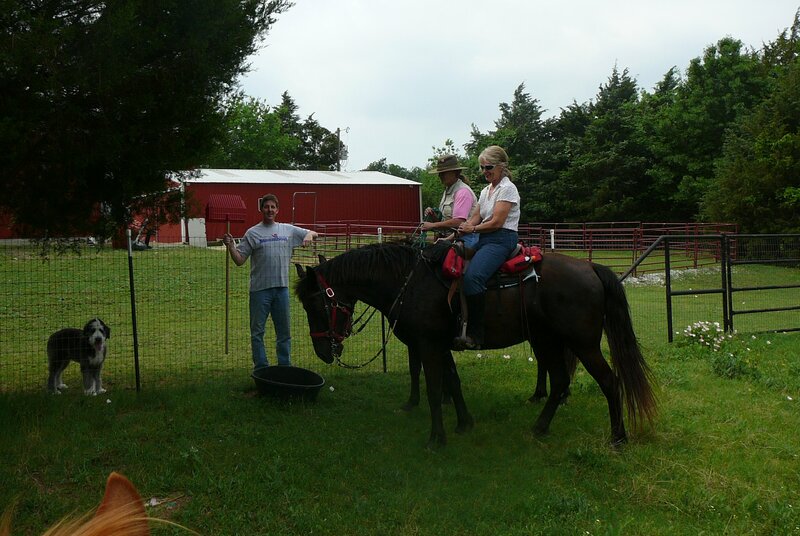 Saddle up and attend the City of Lucas events with the TTPA on Saturday October 25, 2014. TTPA will celebrate a Halloween Fun Day in conjunction with the City of Lucas Founders Day Fall Fest. 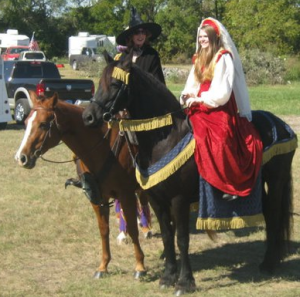 Join fellow horse riders for some Halloween Fun. 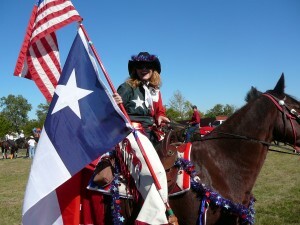 TTPA will ride in the Lucas Founders Day Parade (in costumes) and enjoy the day’s festivities. 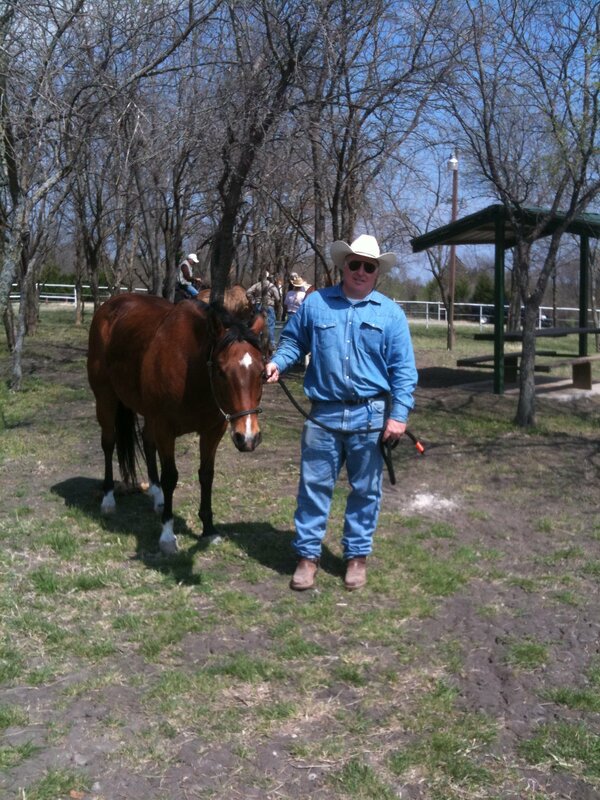 TTPA will hold a horse and rider costume contest starting at 10 AM in the parking area behind Lucas City Hall. 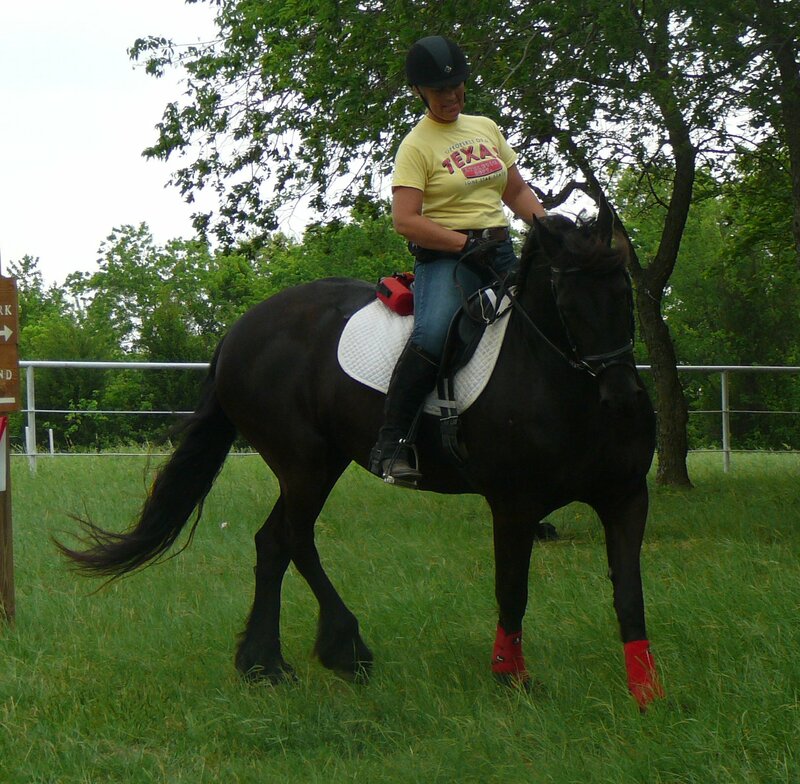 Create your best horse & rider costume and have a chance at winning prizes from both TTPA and the City. TTPA Costume Contest Divisions are: Youth, Adult and we will have special awards at the judges discretion for other divisions (could be things like most authentic, most original, most comic, etc). 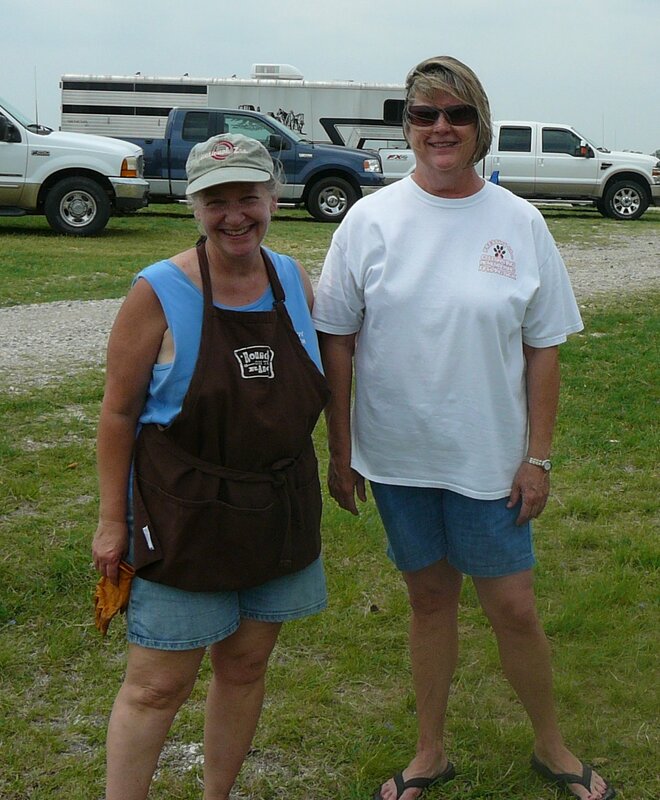 We will be coordinating parking to have longer trailers (3+ horse trailers and/or those with large living quarters) to the right as you pull through the gate and smaller 2-horse trailers on the left. Pull straight down the gravel drive then loop back to the right (or left, as appropriate) and double back to park facing out with truck nose facing the center drive. Park close enough to maximize parking, but far enough apart so riders can hitch and tack their horses between trailers. Where: Meet at Lucas City Hall and Pavilion, 665 Country Club Road, Lucas TX – This is the NEW Lucas city hall building. Park in the back (driving to the south side of building). South entrance to City Hall is easiest for trailers. 8-9 AM Arrive and setup. Trailers parked no later than 9:15, please. This workday has been cancelled due to inclement weather forecasts. We’ll be repairing the vehicle gate at the Highland Park boatramp, and then cleaning up some of the small branches that have fallen on the trail.